I’ve never been much of a baker. It requires too much adherence to specific directions. Executing someone else’s instructions has never been my strong suit. But a month or two ago, I started watching the Great British Bake Off. Something about the modesty of the contestants and the difficulty level of the various challenges gave me the feeling that maybe I *could* bake something kind of fancy…some strange, antiquated British dessert that involves jelly and rough puff pastry. 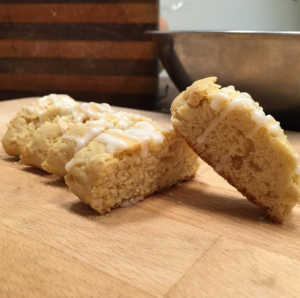 Having never attempted more than some oatmeal cookies or the occasional birthday cake, I had little appreciation for how hard it is to properly bake. My first experiment, egg custard tarts, was pretty much a failure: soggy bottoms and curdled custard. I was pissed. I didn’t even take a picture. But I kept trying. 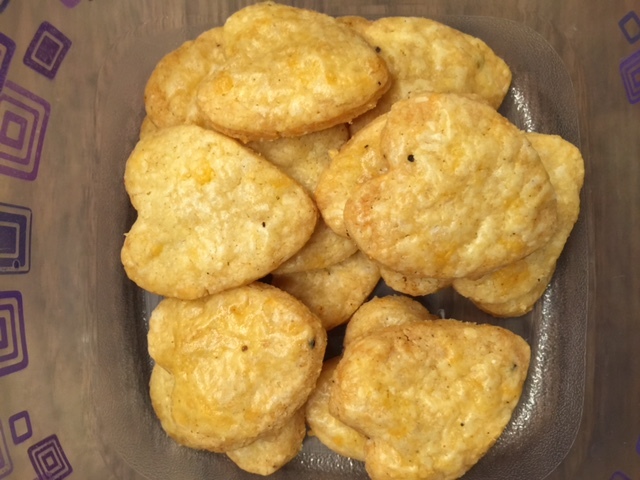 I’ve made several different cookies, tuiles, popovers, parmesan biscuits, and english muffins. 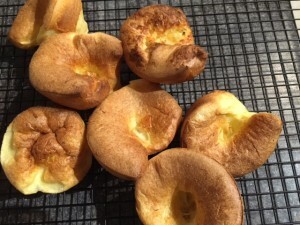 They look a bit insane from the top down, but these popovers were super delish as we watched Wrestlemania. It really classed things up. They weren’t all successful. Actually I’d say something went wrong with almost all of them. But I’m trying not to look at it as failure and a reason to beat myself up. Baking has become a safe way for me to try difficult stuff, have it go slightly (or mostly) wrong, with little consequence. 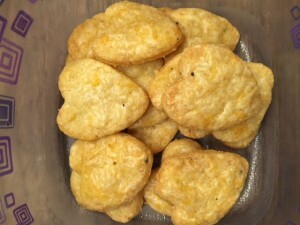 These parmesan biscuits are like buttery pastry Cheezits and I never want to live without them. I have a habit of trying stuff that’s probably above my skill level (see: egg custard tarts), and then quitting if I can’t execute it properly. I usually don’t have a lot of patience for actually putting in the hard work. In my messed up brain I’m all, “Either I’m a natural at it or I won’t do it!” But I’m pushing myself to keep baking and continue to develop skills and techniques instead of expecting them to be there from day one. If, and when, I fail, it’s simply fewer calories for me to consume. 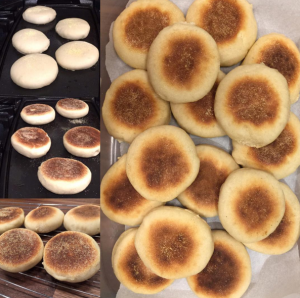 Who knew you could MAKE english muffins? They aren’t baked, but griddled! *Sorry about that title, I hate puns and I’m terrible at writing them.